This is a favorite dish of mine. My mom used to make it a lot as I was growing up. In fact, this was the first meal I ever made all by myself. In a medium pan add 2 cups water and season with small amount of salt. When it comes to a boil, add the 1 cup rice. Cover and turn down heat. Cook for 15 minutes, or until the water is completely absorbed. Remove from heat. 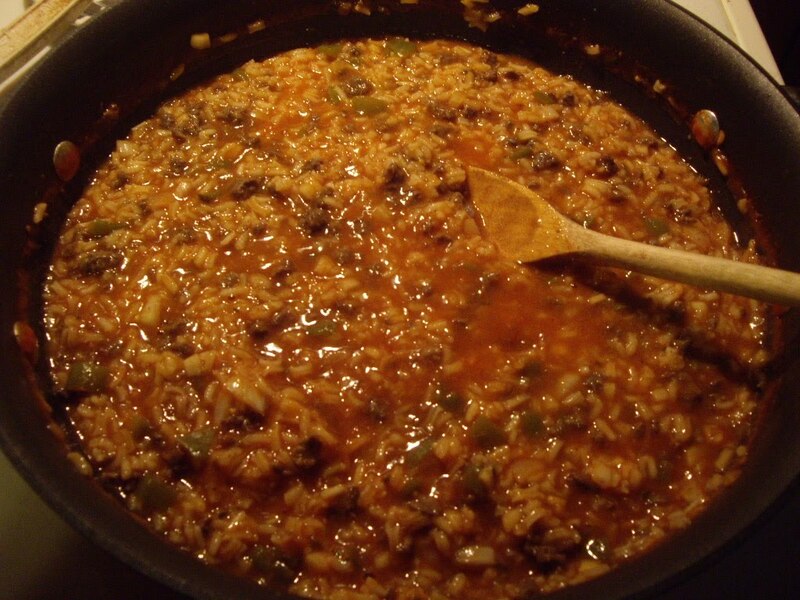 In a large skillet or dutch oven, cook the ground beef with the onion and pepper. Season with the salt and pepper as you cook it. Drain the meat, if needed. When the meat is cooked, add the rice to the pan. Pour in the tomato juice. I like it a bit saucier so I use the full quart, but you can use a bit less. Add the chili powder and optional sugar. Taste and add more salt and pepper if you like. Turn on heat to medium high and stir occasionally. When the mixture comes to a boil, turn the heat down. Continue to cook about 30 minutes or until you get the consistency you want. Also, continue to stir every once in a while. It is important to have the heat on low at this point or you could scorch the bottom and ruin it. This makes a nice big pot and will feed 5 people unless you have big eaters in the house. Pasta is very big in my house. So I am always trying to come up with news ideas for meals. You can use any salsa. Either make a double batch of the fresh salsa recipe or just use some from the store. In a large pan brown the ground meat, seasoning to taste. Drain, if desired. To the meat in pan, add the salsa and heat to boiling. Add the pasta and cook until pasta is done. Since different shapes cook faster go by the directions for an idea of how long to cook. Once pasta is done, if the dish is not as thick as you’d like turn down the heat and let simmer for a few minutes longer. Very quick, simple, and tasty. 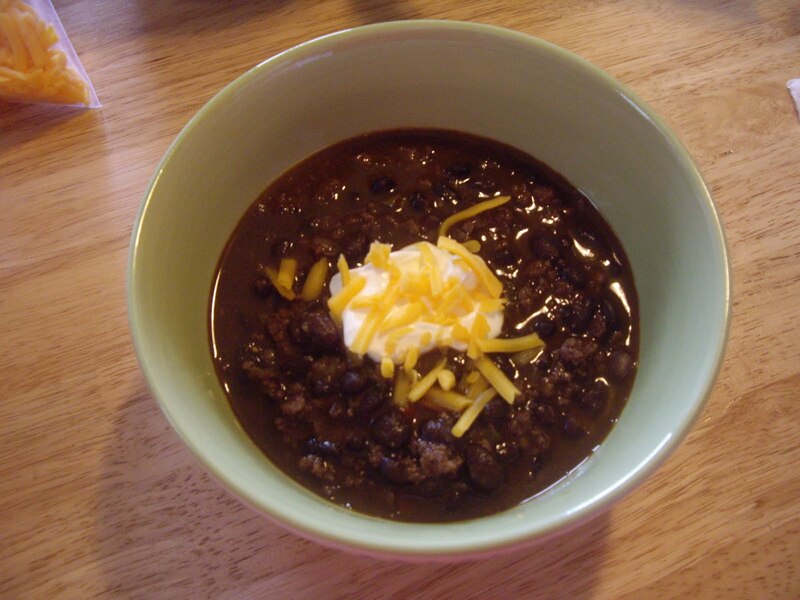 This is a great dish, especially on a rainy or cool day. It is my daughter’s favorite. 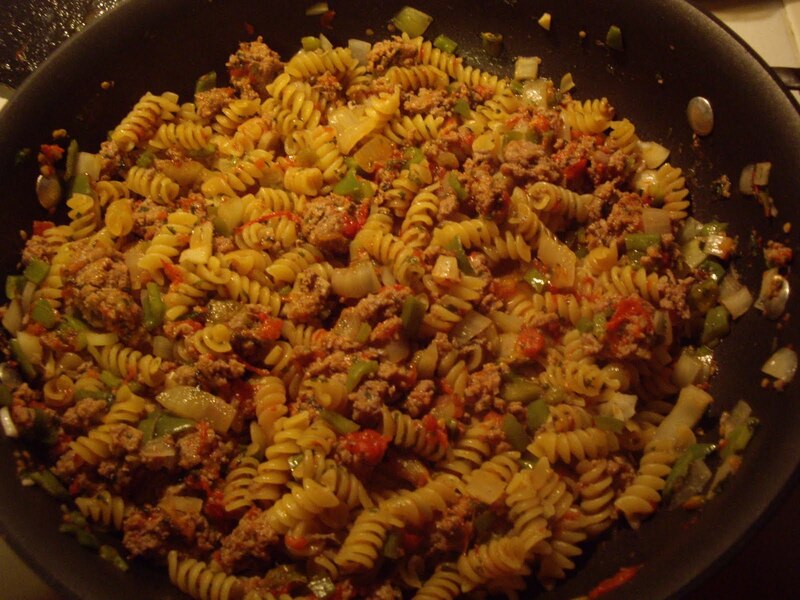 Originally it was made using ground beef, but I use ground turkey most of the time. 1/2 cup minute rice soaked in 1-1/2 cups warm water for 1/2 hour. Or cook 1/2 cup long grain white rice in 1 cup water for 15 minutes until water is absorbed. salt and pepper are optional. Brown the ground meat with the onion. In the casserole dish mix the meat, rice, and soups. Season with salt and pepper if you wish. 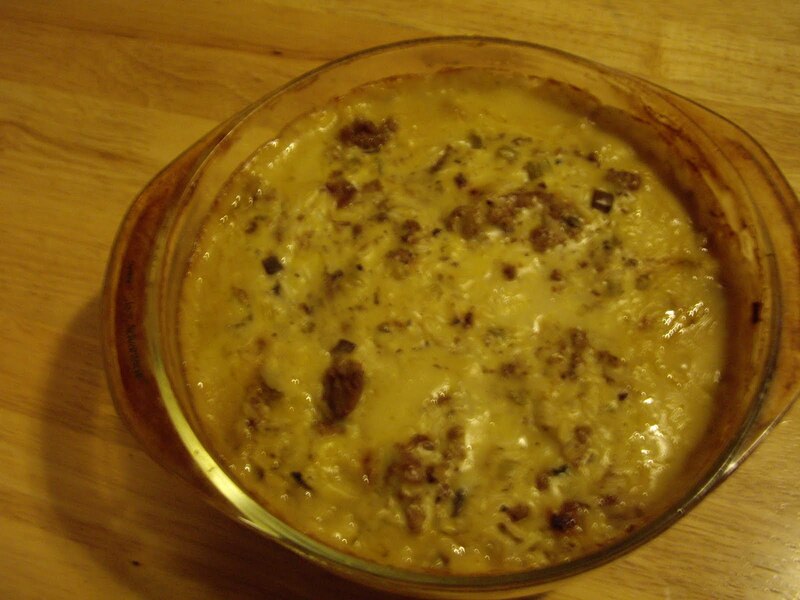 Cover the casserole and bake for 30 minutes. Uncover the casserole and bake for 30 minutes more. Using low fat soup works wonderful in this.